Last fall, Dungeons & Dragons released Waterdeep: Dragon Heist, a new urban-themed adventure that let players explore the famed city of Waterdeep while searching for a hidden treasure trove. The adventure gives players an opportunity to establish their own base in the city, rub shoulders with some of Waterdeep's most famous denizens, and face off against a cast of fearsome enemies. Like every great Dungeons & Dragons adventure, Dragon Heist is meant to be the foundation for an adventure. 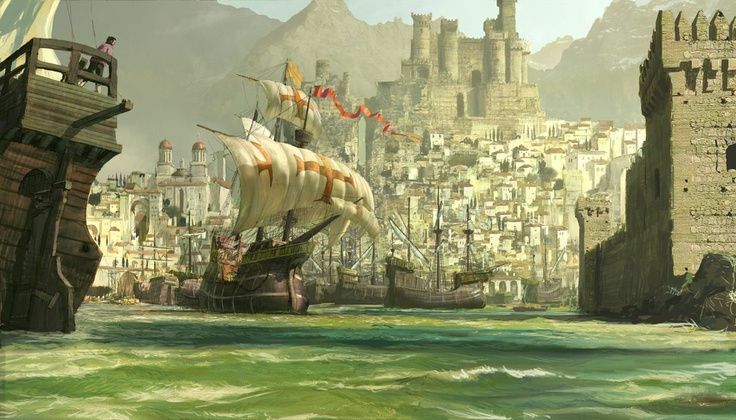 No D&D campaign ever goes exactly as planned and DMs might want their players to explore parts of Waterdeep that aren't fully fleshed out in Dragon Heist. The adventure also has some replayability, as the DM can choose one of four primary antagonists, each with different motivations. So - if you have a player that has already run through Dragon Heist once, you might want to find ways of adding some extra content so that your adventure is totally different from their last visit to Waterdeep. Luckily, there are a lot of great ways to customize Waterdeep: Dragon Heist that doesn't require a ton of work on your end. DMs Guild, a Wizards of the Coast affiliated site that sells D&D third-party content, has tons of affordable supplements that add a lot of extra content to Dragon Heist. Other supplements serve as handy guides for DMs, or completely re-work Dragon Heist to fit with different themes or adventure types. While Dragon Heist is a straightforward adventure that guides players from the Yawning Portal Tavern all the way to the hidden treasure trove underneath the city, there are always opportunities for fun side quests and parallel adventures. Here's a few great side adventures that can either serve as distractions or opportunities to explore different parts of Waterdeep. One of the more popular adventures on DMs Guild is Blue Alley, an adventure by Alan Patrick and M.T. Black. The adventure explores a secret "deathtrap" in the heart of Waterdeep built by a secretive wizard. 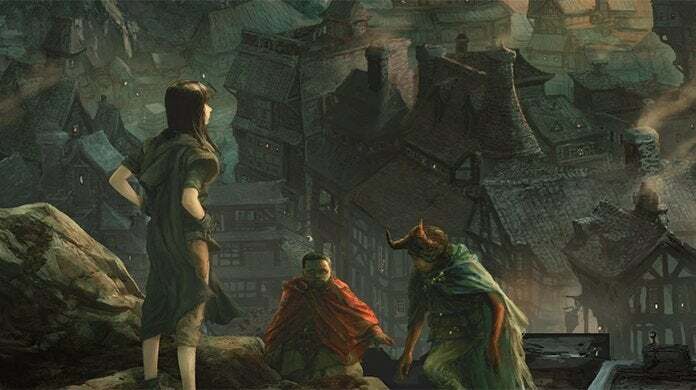 Blue Alley is a fantastic way to test a party's bravery before they dive into Undermountain, and can easily be built up over the course of Dragon Heist. The Beggar Prince, by Christian Eichhorn, is an adventure that explores the sewers underneath Waterdeep. Not only does it introduce an intriguing villain (the titular Beggar Prince), it also serves as a counterbalance to all the encounters with Waterdeep's rich and famous. If you have a PC that's uncomfortable with meeting Waterdeep's rich and powerful, The Beggar Prince might be a way to split their attention. The Lady of Trollskull Priory is another intriguing adventure that adds another secondary threat for the party. The adventure, written by Travis Legge, adds a mysterious resident to Trollskull Alley that can threaten the party's new friends and neighbors. It also adds a taste of Ravenloft for those DMs that want to build towards a confrontation with Strahd in the future. During the course of Dragon Heist, players will have the opportunity to set up a base of operations at Trollskull Alley. Trollskull Alley is an eclectic place, filled with lots of friendly NPCs and opportunities for profit and adventure. If your players decide to spend lots of time Trollskull Alley, there are a ton of great resources to keep the place interesting and spontaneous. Options for Trollskull Manor by Janek Sielicki is a supplement for customizing the famous manor at the heart of the alley. In addition to providing different ways of building out the manor, the guide also comes with different events that can take place while your party is away, and a mini-adventure set within the manor itself. Donna and Hal Howard wrote Residents of Trollskull Alley, a supplement that fleshes out many of the NPCs who act as neighbors to the party. Not only does Residents provide extra adventure hooks and ways to befriend the many NPCs of Trollskull Alley, it also provides hooks for other D&D adventures like Storm King's Thunder or Curse of Strahd. 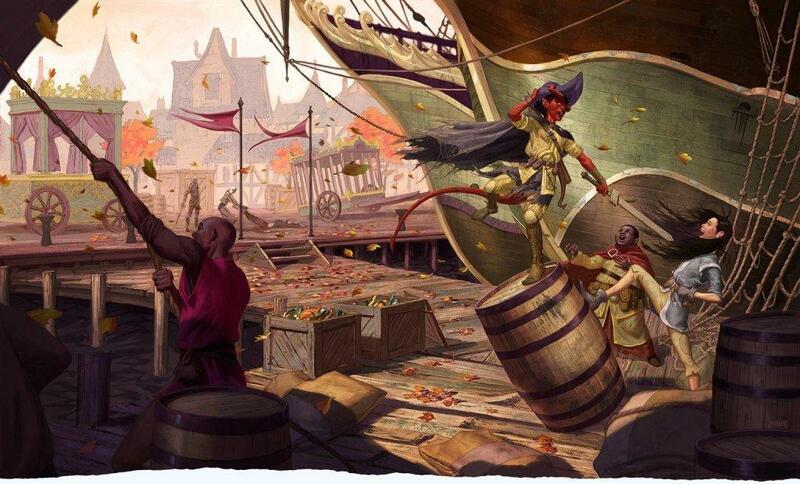 Dragon Heist provides players with a few extra backgrounds to give them ties to Waterdeep. However, if you want to find something a little more unique, you might want to take a look at some of these great supplements. 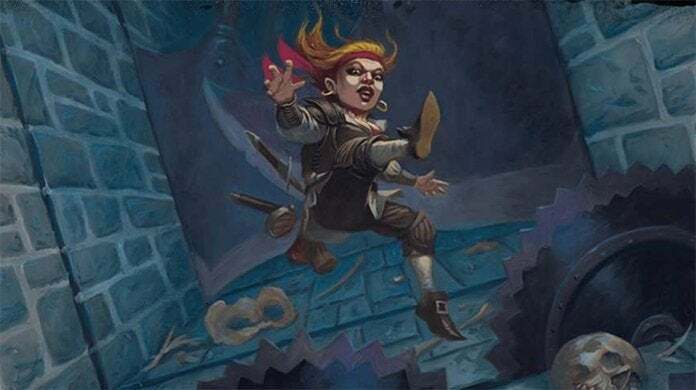 Denizens of Waterdeep, by Bryan Holmes, adds three new backgrounds for Dragon Heist, plus an all new faction for players to join. 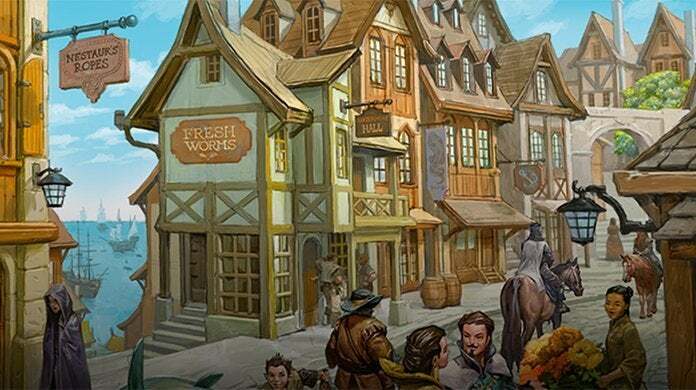 As a member of the Heralds, players gain access to much of Waterdeep's deep history and lore, which is perfect for a player that wants to learn more about the city they're exploring. Guildbook of the Watchful Order, by R P Davis, is another supplement that adds a new faction, this one crafted specifically for wizards and magic users. The Order acts as a way to police magic users in the city and provide Waterdeep with magical support. Along with access to unique spells and feats, members of the Order can also access special portals spread throughout the city. Although Dragon Heist does a fantastic job of summarizing the history and culture of Waterdeep, there's a ton of established lore that doesn't get covered in the book. The DMs Guild contains tons of both official and unofficial resources that provide additional history and information about the City of Splendors that isn't found in Dragon Heist. Jason Hardin wrote Waterdeep Primer, a 23 page supplement that summarizes the many books written about Waterdeep over the year. The primer is a fantastic starting point for DMs who want to learn more about the city that their players will be tramping around in, or for players who want to really dig into one of D&D's most famous locales. The Nobility of Waterdeep, by Bryan Holmes, provides an in-depth look of Waterdeep's rich and powerful. Players will have the opportunity to interact with some of the nobility during Dragon Heist, and this supplement can give DMs a way to bring high society to life. This supplement is also great for players that want to play as a minor noble themselves, giving some extra hooks and built-in backgrounds for someone that doesn't want a generic background. One of Dragon Heist's biggest strengths are the factions that players can either join or oppose during the adventure. Much of Dragon Heist's early chapters are dedicated to a war between two rival factions, and players can encounter other criminal or...extra-legal organizations while exploring the city. James Introcaso, one of the designers of Dragon Heist, wrote Unseen Waterdeep to introduce another dangerous organization into the fold. The Unseen are a group of shapeshifters and assassins that can either be worked into the background of Dragon Heist or serve as the adventure's primary antagonists. Introcaso provides a full alternative encounter chain that can be used in Chapter 4 of Dragon Heist along with a brand new holiday around which the encounter takes place. Unseen Waterdeep is the perfect supplement to use if one of your players has played Dragon Heist before or are familiar with the official campaign and its twists. There's also a ton of great maps that DMs can use either for online play or as a resource to give to their players. Forgotten Realms Stock Maps provides a bunch of maps drawn in the style of an amateur cartographer. As the product pre-dates Dragon Heist, it doesn't contain every location used in the adventure, but it does provide a solid starting point for players that want maps ASAP. Daniel Pryor also made maps for Xanathar's Hideout, Trollskull Alley, and Trollskull Manor that can be used either for online or tabletop play. You can also find a set of regional maps by Terrlen Darkseeker that can be used if players want to explore outside out of Waterdeep's walls.